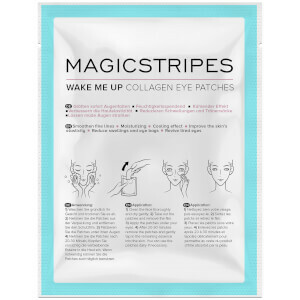 Reawaken your eyes with Skin Republic Collagen Under Eye Patch, an anti-wrinkle eye patch that provides deep level repair to help firm, smooth and hydrate the appearance of your under eyes. Delivering nutrients and intense moisture with close and continuous contact, the treatment is dedicated to rejuvenating and hydrating the delicate skin around the sensitive eye area. 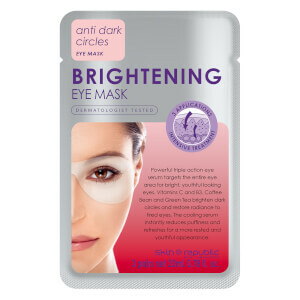 Targeting five signs of ageing around the eyes, including: fine lines and wrinkles, loss of elasticity, puffiness, dark circles and dryness, the serum-infused eye patches combine Collagen with Green Tea, Aloe Vera and a host of vitamins to smooth the appearance of wrinkles, combat fatigue and intensely nourish. 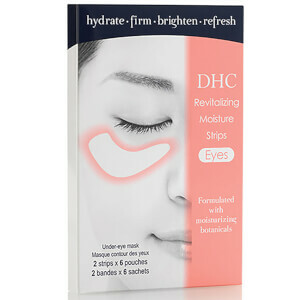 Dark circles and puffiness are relieved and moisture is restored. 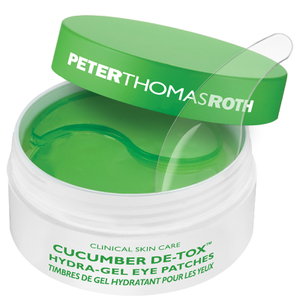 Eyes appear revitalised, more youthful and bright. Sheet masks utilise a Transdermal Delivery System that ensures nutrients, nourishment and moisture are delivered deeply and effectively. Their breathable, 'second skin' nature allows for faster absorption than traditional masks and creams. They are also more hygienic. The Skin Republic range is cruelty free and not tested on animals. Water, Glycerin, Sorbitol, Sodium Polyacrylate, Polyacrylic Acid, Castor Oil, Octyl Dodecanol, Kaolin, Cellulose Gum, Collagen, Tartaric Acid, Aluminum Glycinate, Methyl Paraben, Tocopheryl Acetate, Titanium Dioxide, Disodium EDTA, Allantoin, Chromume Oxides (Green), Camellia Sinensis Leaf Extract, Retinyl Palmitate, Fragrance.